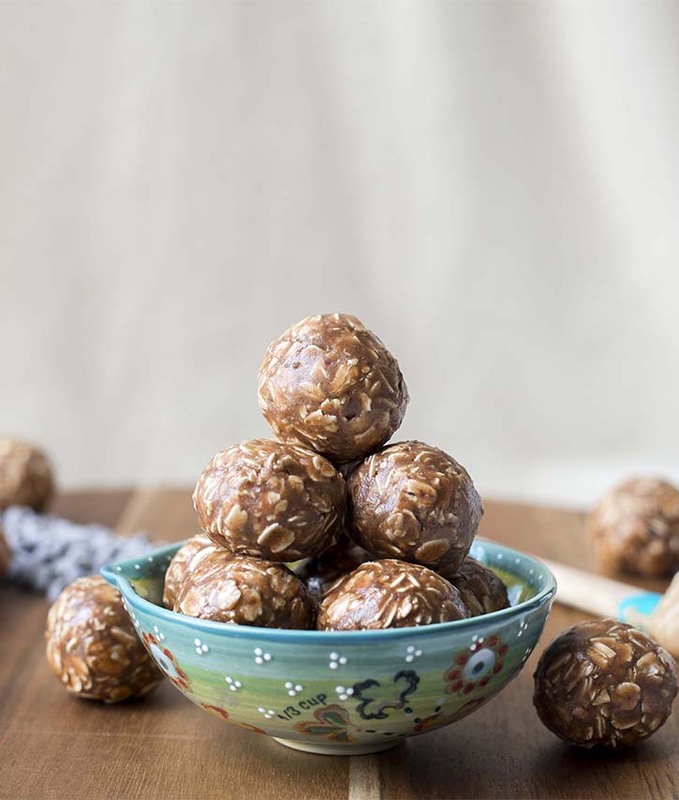 Simple and delicious, these gluten-free, kid-approved bites are a perfect on-the-go snack. They are loaded with healthy fats, protein, and carbohydrates that all work together to keep both your energy up and tummy full. You don’t have to be a fan of beets to thoroughly enjoy this deliciously addicting twist on hummus. Spread it on crackers, dollop it on toast, serve it with chicken, and use it as a dip for veggies. It’s simple to make and requires little time on your part. 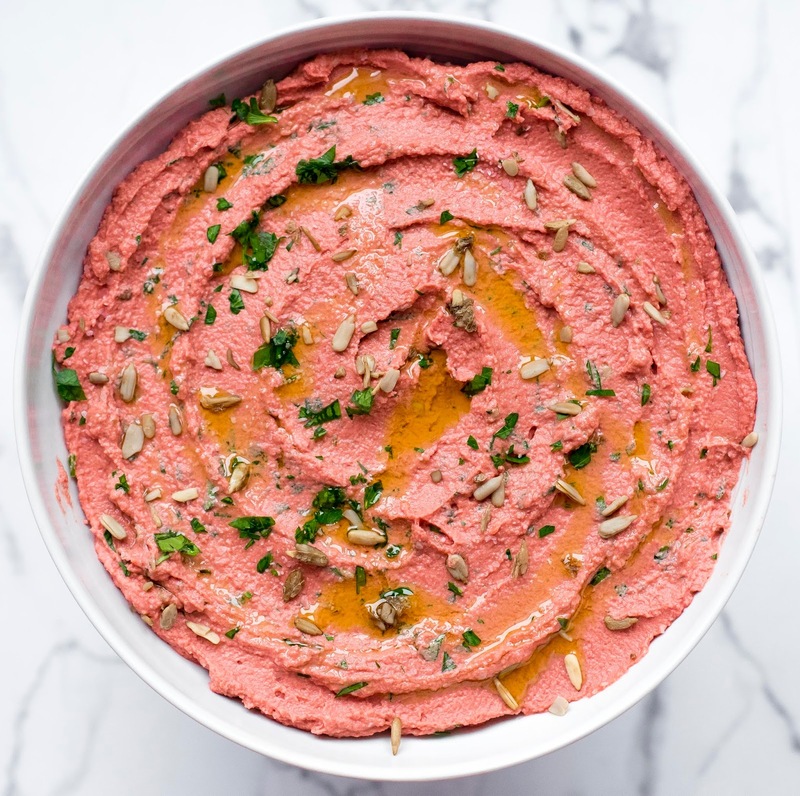 This beautiful pink hummus (that has zero artificial colors) is so fresh and flavorful because it’s made with simple, wholesome ingredients like beets, chickpeas, and tahini. 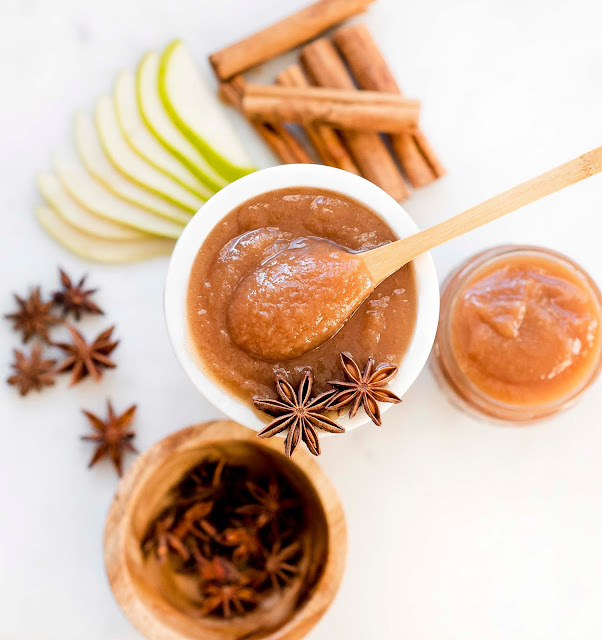 With the perfect amount of spices and sweetness, this pear butter will have you whispering to (the more famous) apple butter to move aside. Apple butter a favorite fruit spread among many. My family equally loves pears as much as apples, prompting me to create pear butter. I’m so glad I did! It’s just as delectable on anything and everything that is served with apple butter. Spread it on toast, spoon it in oatmeal, and stir it in yogurt for a tasty pear-licious addition. 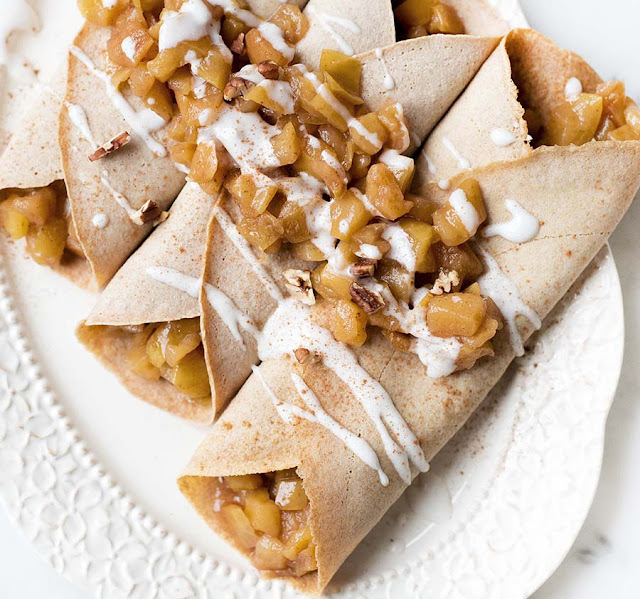 Thin, warm crepes filled with a delicious apple filling (that tastes just like apple pie) and topped with a light whipped coconut cream. I’d say that’s a perfect way to begin the day! 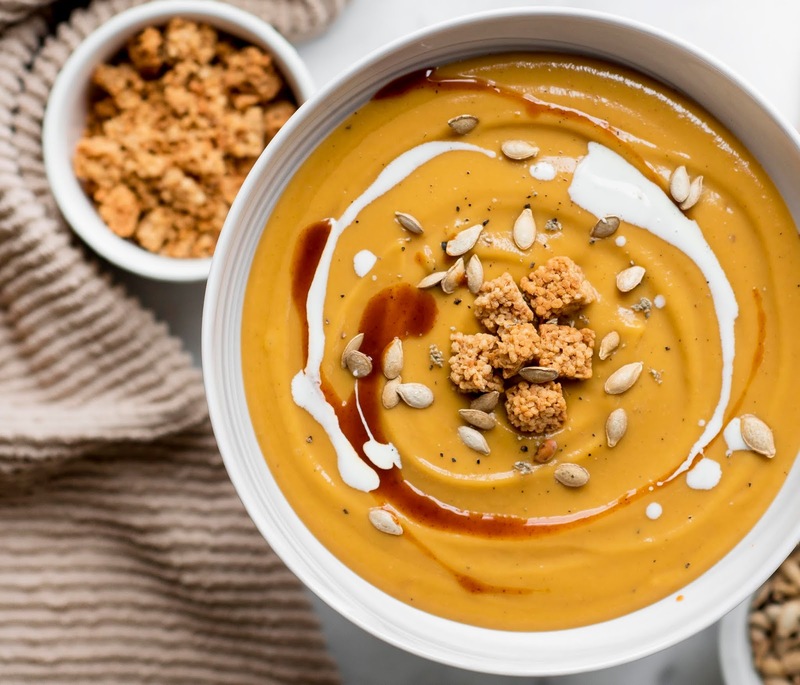 Nourish your body this winter season with a big bowl of smooth and creamy butternut squash soup. This particular vegan-friendly version is seasoned perfectly and sweetened with green apples and a touch of maple syrup. It’s hearty enough to enjoy this dish alone, or just as delicious served alongside a main dish.